Harold "Hal" G. Christensen had a stellar career as an attorney, but friends and family said Thursday his love for the law shone most brightly in his acts of service and the personal example he set for Utah&apos;s legal community. Christensen, a former deputy attorney general, law professor and chairman of Snow, Christensen and Martineau, died at his home Wednesday evening of cancer. He was 86. Born in Springville, Christensen grew up across the street from the city&apos;s widely respected art museum, where he first kindled a lifelong appreciation for paintings. He served as a medic in the U.S. Navy and, after graduating from the University of Utah, went on to get a law degree from the University of Michigan in 1951. But finding work proved hard, prompting Christensen to offer to do collections for attorney John Snow for free. By 1967, he was a partner. 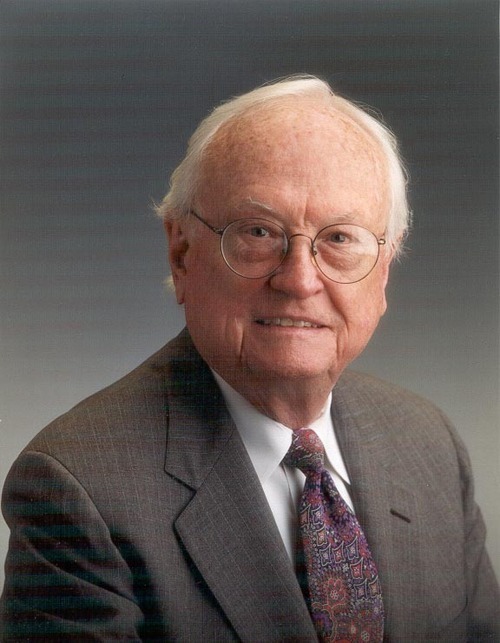 In 1988, former President Ronald Reagan appointed Christensen as deputy attorney general and he went to Washington, D.C., to work for Attorney General Edwin Meese III. He stepped in briefly as acting attorney general when Meese resigned. Christensen spent the next few years as law professor in California; Queensland, Australia; and Utah, and then led the litigation division at the Utah Attorney General&apos;s Office before again returning to his old firm. 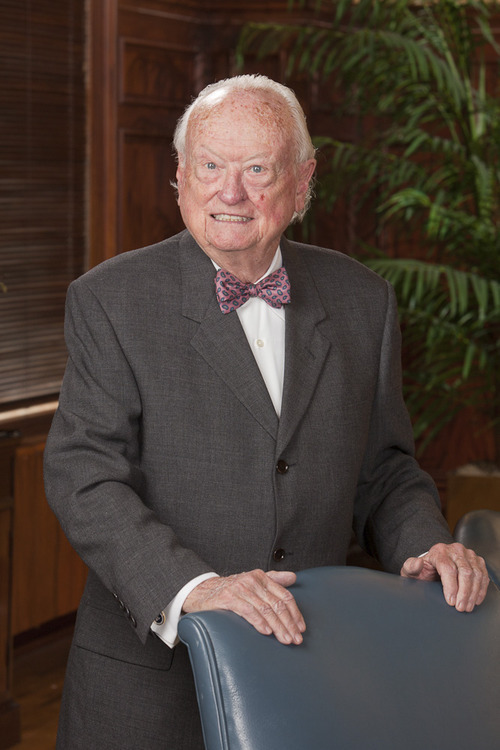 He served in many volunteer capacities in the legal profession. In all, Christensen estimated he tried more than 1,000 cases. "The high point may have been the Corvair litigation for General Motors Corporation," Christensen said in Samurai Lawyer, a book he published in 2009. In his guide to the profession, Christensen described the path of the trial lawyer as "tortuous and steep, boulder strewn and often obscure." The way through it was "not by brilliance, but by finding one&apos;s own pathless path and acting in harmony with one&apos;s own intuition and personal code of conduct." "He loved the law and he loved to serve, and that is what he did his whole career," Jacquita Christensen, his wife, said Thursday. He also relished his role as a historian bridging the legal community&apos;s past and present. Attorney Rod Parker, whom Christensen hired in 1982, considered him a second dad. Parker followed him to D.C., and then back to Salt Lake City. "In our firm, he made a point of taking every young lawyer to lunch, one on one," Parker said. "It was really important to him to influence those young lawyers. He knew that was his legacy, the young people coming into the firm after him." "He had so little ego," Parker said. "For all the things he accomplished, to be so ... they were just things he had done." U.S. District Judge Dee Benson also worked for Christensen in Salt Lake City and during his stint in Washington, D.C., and remained close to him, marveling at the breadth of his knowledge on subjects as diverse as porcelain, Eastern religions and, a carryover from the sheep ranch the family once owned, nuances of sheepherding around the world. "Hal Christensen probably influenced me more, other than my father, than any other adult I&apos;ve ever known," he said. "Most of the things I do right I do because Hal taught me how to do them. He wasn&apos;t a big lecturer but ... he left a big imprint. It doesn&apos;t matter what it is, his attitude toward business travel or dealing with judges or co-counsel or the way he would dress for trial. He was one of a kind, really." A celebration of Christensen&apos;s life will be held Monday from 5:30 p.m. to 7:30 p.m. at Stark&apos;s Funeral Parlor, 3651 S. 900 East. In lieu of flowers, donations may be made to the Harold G. Christensen scholarship fund.